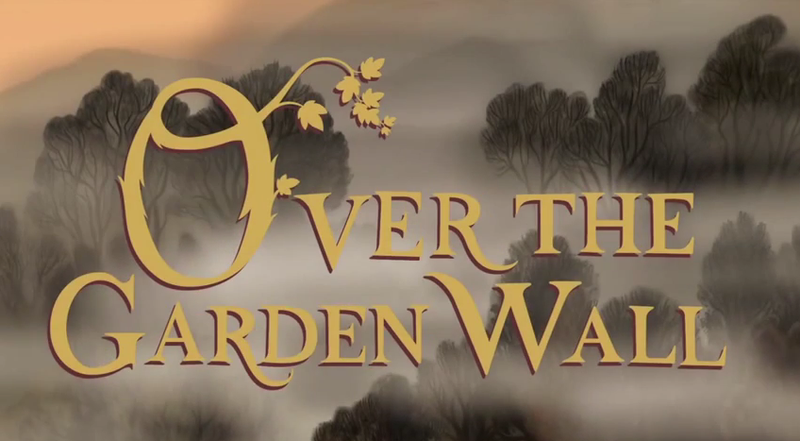 Welcome to the fourth and last installment of "Myths and Meanings of Over the Garden Wall." Previous installments are here, here, and here. Beware: spoilers abound. And that's a Rock Fact. First, some things I missed: There is a Jerome Kern song called "Babes in the Wood" about dreaming, which fits well with the chapter of the same name. "Lullaby of Frogland" is probably referring to the film Lullaby of Broadway (the song came first, but it's about nightlife, while the movie is more of a soap opera). There is also a song called "Lullaby of Birdland." And now, onto the last two chapters! "Chapter 9: Into the Unknown"
Summary: Before they got lost in the Unknown, Wirt was a teenager in high school. On Halloween night, he finally gets up the courage to give his crush, Sara, a mixtape filled with him playing clarinet and reciting poetry...until he hears that Jason Funderburker is going to ask her out. But when she accidentally ends up with the mixtape anyway, Wirt has to take his brother Greg along with him to try and get it back. At a graveyard. At night. On Halloween. References: The song playing at the start includes the lyrics "you're sinking like a stone," foreshadowing the end of the chapter. We finally find out why Greg had so much candy in the first episode — he was given it by Old Lady Daniels in exchange for raking her leaves. He also stole the Rock Facts Rock from her garden. We also find out why Wirt and Gregory are wearing their specific clothes: Wirt's Halloween costume is made from an old Santa hat and a marching band cloak, while Gregory put a teapot upside down on his head in order to be an elephant. Gregory as an elephant for Halloween makes sense considering he acts much like the Elephant's Child. When Wirt and Greg reach the Halloween party where Sara is at and Greg runs inside, you can hear someone talking about different bat-and-ball games, including "One Old Cat, Two Old Cat," the same game that Greg plays in "Schooltown Follies" (although Greg plays it with actual cats). The graveyard Sara and her friends go to is called "Eternal Garden." So at the end of the chapter, when Wirt and Greg jump over the graveyard's wall, they are literally going "over the garden wall." When Wirt and Greg avoid the train and fall down the hill into the lake, a folk song plays, comparing the train to death: "There's a old black train a-comin' scraping 'long the iron. You don't need no ticket, boy. It'll take you in it's time." Summary: Things finally come to a conclusion. As Greg does tasks for the Beast, Wirt and Beatrice look for him and finally have a confrontation with the very worst thing imaginable. References: The Beast asks Gregory to bring him a "golden comb." While Greg brings him a honeycomb, an actual golden comb is a part of the Norwegian fairy tale "East of the Sun and West of the Moon." The first item that the Beast asked for was a "spool of silver thread," referencing the straw-into-golden-thread of "Rumpelstiltskin" (Greg brought him a stick with a spider's web wrapped around it). The third task the Beast gives Gregory is to catch the sun in a China cup. Greg does this using forced perspective. While very similar to a lot of fairy tales, I can't find a specific one that involves catching the sun - however, there is a scene in Neil Gaiman's American Gods where the god Mad Sweeney takes the sun from the sky and transforms it into a golden coin. "Milch-kine" means "milk cows." So Herne literally made cows give blood instead of milk. It's revealed that the dark lantern doesn't carry the soul of the Woodsman's daughter, but rather the Beast's own soul. There have been plenty fairy tales of men who kept their souls or hearts in safe places. It was said that Koschei the Deathless kept his soul in a needle, in a jar, in a duck, in a hare, in an iron chest, buried into a green oak tree on the island of Buyan. The same type of thing happens in the Norwegian fairy tale "The Giant Who Had No Heart in His Body," the Scottish fairy tale "The Young King of Easaidh Ruadh," and the Portuguese fairy tale "What Came of Picking Flowers." Here's an image of what the Beast looks like in the light. He appears to be made of wood like a tree, but the body filled with holes in the shape of screaming faces. At the end, when Greg is showing the others Jason Funderburker (the frog) to the others, his belly lights up from Auntie Whispers' magical bell, indicating that all the events that happened in the Unknown actually happened. The last scenes show the Unknown has now passed from autumn into winter; the Woodsman is now home, where his daughter finds him; the fishing fish catches a turtle; Lorna reads the Tome of the Unknown while having tea with Auntie Whispers; Marguerite Grey looks up at the portrait of Quincy Endicott; Miss Langtree and Jimmy Bee have a date at the circus; Enoch the cat emerges from his costume; Beatrice and her dog look out the window longingly before having dinner with her family at the Old Grist Mill; Jason Funderburker the frog plays the piano; and Greg puts the Rock Facts Rock back where he took it. And that's the end. Thanks for reading!